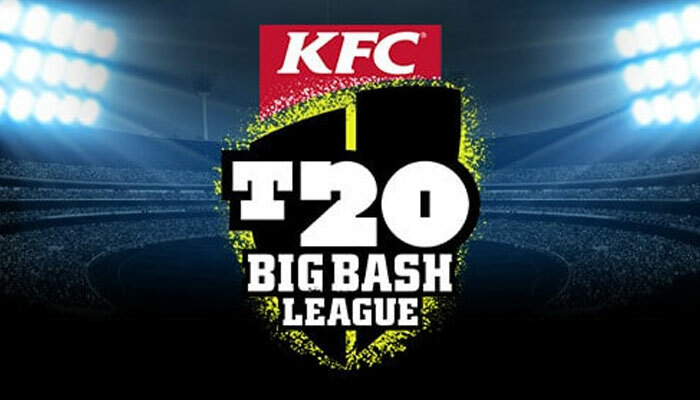 SYDNEY: Australia’s Big Bash League explodes into life for its eighth season on Wednesday boasting new ideas but only a handful of top players as the high-octane Twenty20 tournament tries to build on its success. This year’s fast-paced, family-friendly event is the biggest yet with the eight franchises playing each other twice over a total of 56 round-robin matches in a season spanning nearly two months and culminating in semi-finals followed by a February 17 final. After a cricket television rights bidding war, 43 matches will be shown simultaneously on domestic commercial and pay-TV, with pay-TV airing another 16 exclusively. There is a promise of more innovation to keep fans engaged during an event with a history of breaking new ground. The BBL first introduced flashing stumps which light up when the bails are dislodged. They are now are used in international matches. The event was also the first to experiment with player microphones, where commentators can chat to players, and helmet cameras. More changes are afoot, with organisers deciding to break with tradition and scrap the coin toss to decide who bats first. Instead captains will flip a bat, calling "hills" or "flats" rather than heads or tails -- a practice straight out of children’s backyard cricket. "For me it’s a great moment which reflects what BBL is about," said Kim McConnie, Cricket Australia’s head of the Big Bash League. "Some people don’t like change but I’d also challenge people to say when was the last time anyone watched the coin toss or really focused on it to a great extent? "Now we are making it much more relevant to families, we are creating a moment which is much more fitting with kids." Some are keen for even more change to keep the BBL relevant amid a growing glut of similar Twenty leagues across the world. "The tournament is marketed brilliantly and apart from the Indian Premier League is the envy of the cricket world in many ways," said former Australia batsman Dean Jones, now head coach of Islamabad United in the Pakistan Super League. "However, I feel the fans are starting to want more for their money." Jones suggested Australian Test players should find more time to play BBL games, there should be bigger money to attract more top overseas names and the tournament should be shortened. The Adelaide Strikers, coached by Jason Gillespie, are defending their title with a squad including Afghan leg-spinner Rashid Khan who was the standout bowler of the last tournament. They also have Australian internationals Alex Carey, Peter Siddle and Billy Stanlake at their disposal. Former New Zealand captain Brendon McCullum is back to lead the Brisbane Heat alongside big-hitting Chris Lynn, while the West Indies’ Dwayne Bravo will link up with Glenn Maxwell at the Melbourne Stars. But it is Sydney Thunder that has one of the hottest rosters on paper, led by England captain Joe Root and wicketkeeper Jos Buttler. They also boast Australian Test stars Usman Khawaja and Pat Cummins, although their involvement will be limited due to international duty. That will put the onus once again on the evergreen Shane Watson, who continues to play at the age of 37. Perth Scorchers are the most successful franchise in the tournament, winning three times, but they have lost coach Justin Langer to the Australia. Former player Adam Voges has taken over and will oversee the return of Cameron Bancroft, who was banned along with Steve Smith and David Warner over the ball-tampering scandal in South Africa. While Smith and Warner were slapped with one-year suspensions, Bancroft only got nine months and will be available from December 29. The other franchises are Hobart Strikers, Sydney Sixers and Melbourne Renegades.